We are seeking individuals with technology support experience to provide complex support services of the Auth0 SaaS solution. Reporting to the Regional Support Manager, this individual will work closely with our customers to provide break-fix support, operational maintenance, and support services. 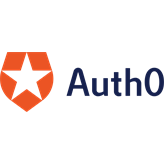 This position is an integral part of Auth0's long-term relationship with its global customers, and the efforts put forth by this individual will directly impact the long-term success of the relationship. In order to succeed in this team, this individual must have the passion and energy to work in an entrepreneurial and fast paced environment. Auth0 has a strict NO JERK policy, so only those who love to collaborate, understand how to give and take constructive feedback and are always looking to make themselves and their peers better need apply. Support and maintain customers who have implemented the Auth0 SaaS solution, resolving technical and non-technical customer issues in a timely fashion operational management of support tickets. Build and maintain excellent relationships with clients and achieve the highest level of customer satisfaction. Work as part of our extended support team in a startup atmosphere, doing whatever it takes to exceed customer expectations. Use your business and technical analysis skills and knowledge of the Development lifecycle to solve complex issues and promote best practices. Collaborate with other departments in the company to achieve customer satisfaction. Self-starter — able to come up to speed on complex, difficult concepts with minimal assistance. Ability to quickly context-switch between multiple complex work streams. Instinctive ability to subdivide problems into basic components in order to efficiently pinpoint root cause of issues. Customer-obsessed attitude — a customer advocate, always going the extra mileTeam player with solid communication and presentation skills. Proactivity — identify opportunities and take preemptive action against potential problems. Continuous growth — permanently look for areas of improvement, make plans on how to improve them, and execute those plans. Knowledge of software development fundamentals and common architectures. Knowledge of HTTP, encryption, basic security concepts. Understanding of authentication and authorization concepts. Knowledge of one or more auth protocols/specifications: OAuth2, OIDC, SAML, WS-FED, LDAP, Azure AD, etc. Min 2 years of technical support and/or software development. OR 2-5 years of solid experience in a business or technical analyst role for medium to large scale business software implementation projects.